Breaking Bad fans will know – even if you aren’t dealing in drugs, demand is everything, and unless you have buyers lined up you simply aren’t going to sell anything! But lining up buyers takes marketing effort. Sales buffs can say whatever they like, but if they don’t want to spend fruitless hours and days prospecting and cold calling for little return, you need to generate leads for them to work on. And to do that, inbound marketing has to stay at the top of your list of essential activities. CRM is one of the most overlooked inbound marketing tools in existence. The popular theory that it costs five times more to get a new customer than to keep an existing one has been shot down recently. It’s an accepted fact, however, that you have a much higher probability of selling to a current client than a new one. For one thing, your customers already know and trust you. If you consistently take care of them using client relationship management practices, then cross-selling to them should be a breeze. You can also ask them for reviews and testimonials, which are really useful in your inbound marketing. With former clients, promotional offers and special discounts can work wonders in drawing them back into the fold. A dreary old static website that is little more than an online brochure isn’t going to get you far. 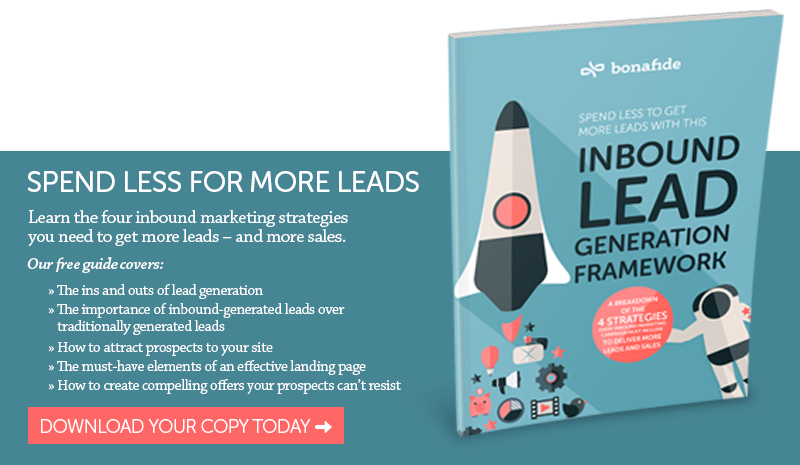 Wake up your website and turn it into an inbound marketing powerhouse, and you’ll see the leads start flooding in. Your website can be your biggest lead generator if you spend a bit of time setting it up correctly. Your blog is your window to the world. It’s where you showcase your expertize in your field, highlight happenings in your industry and educate your users about issues of importance. The secret ingredient for making your blog a lead generation tool is to raise problems and questions your users have and then provide them with the solution. Add strong calls to action (CTAs) that lead to the aforementioned landing pages, where they can download useful material that helps them deal with the issues they face. Let us repeat: Be sensible with your search engine optimization! The days of keyword stuffing are over, gone, done. Good SEO means using your key search terms logically in quality content, as well as best practices such as alt tags, meta descriptions, headers and categories. If you’re running a Wordpress website or blog, get a plug-in like Yoast or All In One SEO that guides you through the optimization of every single page on your site. Add some outbound links to other quality websites, and keep an eye on inbound links so you can disavow any from spammy sites. Keep your nose clean with Google and your SEO will push you up in the rankings until search results become an important lead generation tool for you. Use all the options at your disposal on social media, including hashtags, retweets and LinkedIn groups. The best-ever invention when it comes to generating quality leads, pay-per-click is economical and within the reach of absolutely every business regardless of the size of your budget. The reason? You only pay for the ads that work. That’s right – you only pay for those ads that actually get a response from a user. So each time someone sees your ad but doesn’t click, it’s free exposure. And each time someone does click, it’s another chance to capture a quality lead that your sales people can take and run with. Check out Google’s AdWords program as well as Facebook’s various advertising options to see how closely you can target the audience you want to reach. There’s much more to email marketing than initially meets the eye. Sure, it’s a way of reaching people once you have their contact info and pushing your promotional stuff at them. But the real value lies in the opportunity it gives you to nurture the leads you generate. Instead of sending new leads through to your sales people, who are notorious for dropping luke-warm leads in favor of hot ones, you can nurture them along using automated processes until they reach just the right temperature. Send out regular newsletters to keep your company top of mind with subscribers, and send individual emails based on users’ preferences and behavior. 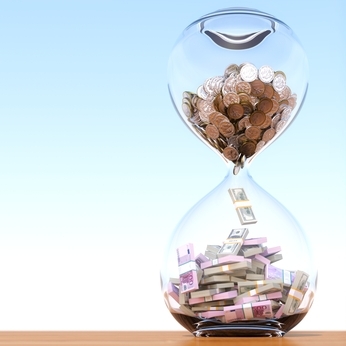 Remember, time is money! Your sales people can spend theirs far more effectively converting leads that are ready to buy than looking for leads that might never pan out. And the worst way to get quality leads? Well, that’s to ignore everything we’ve told you here about getting it right!